Growing up, my mom would serve red cabbage with a lot of our meals especially when she served pork. Pork roasts, pork chops, leftover pork with potatoes and onions. Didn’t matter, there was always a serving of red cabbage on the side. 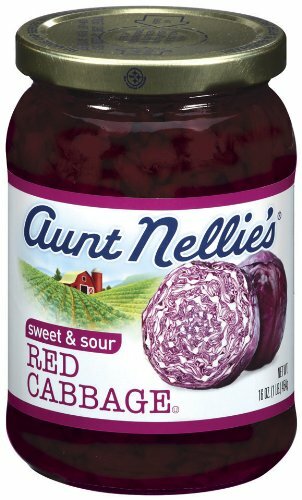 Fortunately for me, I liked the taste of the sweet and tart flavors of her red cabbage but now that I think back, I don’t remember my mom ever making red cabbage from scratch. As far back as I can remember, it always came from a jar. Where she purchased these jars of red cabbage is a mystery to me. 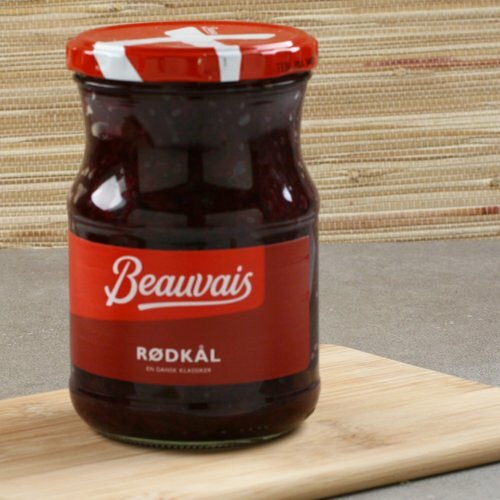 My recollection is the labels were in Danish so either she shopped at Scandinavian store near us (doubtful), she brought it back with her from her many trips to Denmark or she purchased an American brand of red cabbage. I thought it would be fun to prepare my own Danish red cabbage and found this recipe in Trina Hahnemann’s The Scandinavian Cookbook. Chef Trina is a well know Danish chef and food writer and was nice enough to do an interview with me. See Interview with Trina Hahnemann. 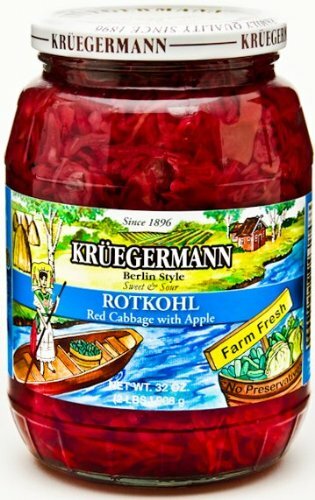 What I didn’t know about red cabbage is how red currant jelly is used to help give it its dark red coloring. 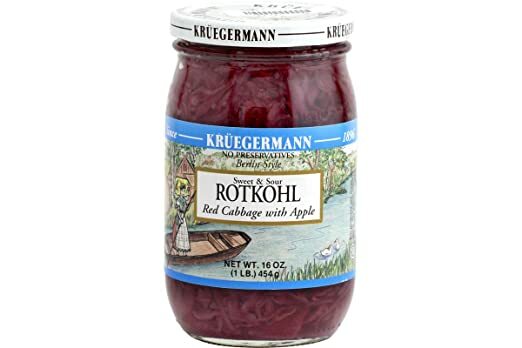 In looking at other recipes for Danish red cabbage, I noticed a lot of them included apples but this one doesn’t and I’m not sure why. It seems to me the apples help give the dish some of its tartness. I’ll make them optional. Chef Trina’s recipe also calls for duck fat, an item that is not always easy to find in your local supermarket. I substituted butter but I’m sure the duck fat version is incredible. Remove the tough outer leaves from the cabbage, wash and core the head. Slice the head in half from top to bottom. Laying each half down on a cutting board, slice the cabbage in big thick slices or finely cut thin slices. Really depends on how you like your red cabbage. Preheat a large pan, big enough to hold all the cabbage, add duck fat or butter and when it’s good and hot, add the cabbage. Cook over medium to medium-high heat until the cabbage gets shiny but not browned. Add the onion, red wine, sugar, red currant jelly, vinegar, cinnamon stick, and cloves to the pan. Season with some salt and pepper. If you are using optional apples, now’s the time to add them. Remove the onion, taste and adjust seasoning with salt and pepper and if needed, some additional sugar. You want it to be a little sweet, but not too much. You can serve this right away with the rest of your meal but it really does get better when served the following day. Historically, this is a traditional Danish side dish served with stuffed loin of pork or goose on Christmas Day. This is by far the most traditional recipe I’ve seen, very much like my mother’s recipe! She is almost 90 and was telling me the steps, thank you for refreshing our memory. Have a wonderful New Year!